14 Signs that your headaches are dangerous. You need to see a Doctor immediately! You’ve spent the last hour listening to your kids whine, spent the day listening to your family member with the annoying high-pitched voice, or tried to cut caffeine out of your diet. No matter what triggered your headache, it’s here now. There are many natural ways to treat headaches, but it is important to know when you should be treating a headache and when it is a sign of something more serious. Headaches that get worse when you wake up: Sleep should make headaches better, not worse. Post-injury headache: If you get a headache after getting injured, it may be sign of internal injury or bleeding. Thunderclap headache: An intense, severe headache that reaches a severe level within one minute. 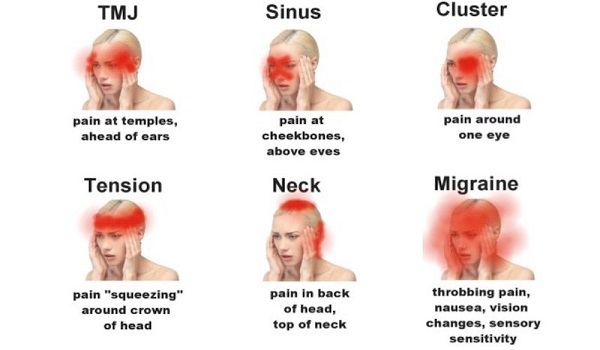 If you are worried that your headache has taken on some of these symptoms or seems to have gone from bad to worse, it may be time to see a medical professional. If you have a close friend, family member, or coworker who knows you well, have them observe you for a few minutes. They should look for changes in your appearance, paleness, confusion, strange muscle movements, or unusual speaking patterns. If you have any of these symptoms, have them take you to get emergency care right away. You may feel that your headaches are not indicative of an emergency. However, you may still want to make an appointment with your primary care provider if they seem to be worsening or time does not heal them. The health of your brain is nothing to risk. Dangerous headaches may indicate several severe problems. They may indicate a brain bleed, which can be deadly. This can be surgically repaired if caught early, but if you ignore one, the next one may be worse. Brain bleeds tend to increase in severity over time. Headaches may also signal a brain tumor, since tumors can press on different parts of the brain as they grow. A headache that occurs with a fever or a stiff neck may be indicative of meningitis, a disease that can worsen very quickly and lead to death. Being in touch with your body can help you understand when you need to get medical care and when a headache is more than it seems.